Today has been another day, filled with transfer news, gossip, speculation, and rumors, surrounding the Gunners. Without further ado, here is the Arsenal Transfer News Roundup. After various reports, including famous Spanish reporter Guillem Balague, reporting that an agreement has been reached by the Gunners with Valencia, over the signing of Juan Mata. Mata's father himself, has spoke out, stating that the Gunners have had a bid rejected for Mata's services. He also hinted that Inter Milan, are also interested. 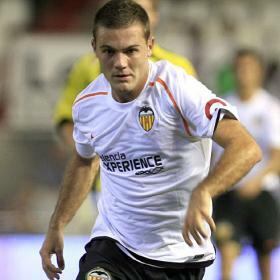 "Valencia simply rejected their offer," said Mata's father to calciomercato.com. "After some hesitation they answered 'no' to the Gunners' offer. "So my son remains a Valencia player, for now. But I don't think it's their last offer. "There are several offers for Mata and I think that Arsenal will come forward again. The situation is still evolving. "Are Inter Milan one of the interested teams? I know my son holds Milan in high esteem. We'll see if Inter will come forward directly." This of course is frustrating news, but I'm still hopeful that a deal can be made between the two clubs, especially with his father, hinting that Arsenal might come back with a second offer. We'll hopefully know more in the next few days. Interesting news reported by Sky Sports, as they believe that the Gunners, along with Tottenham and Stoke City, are interested in signing Joey Barton and have made enquiries. Barton, has been recently been placed on the transfer list by his club, Newcastle, and is available for free. Barton, was one of the best players in my opinion, last season with Newcastle and was consistent throughout. There's no doubting his ability, but there are question marks over his temperament and whether Arsenal players will accept him as he had his run-ins with several Arsenal players in the past, with the latest being with Abou Diaby. Nonetheless, he's a good player and will definitely be in the watchful eye of many clubs. What do you think? What are your thoughts on the latest news on Mata? Do you think that the Gunners should go for Barton?